Britta had volunteered her services without a second thought. Not because she was feeling brave and adventurous — she had changed as a person since she’d started playing the game, but not that much — but because it seemed like what the game was asking of her. Events were coalescing in one place, so that was the place she needed to be. She was drawn there in a way simply receiving a message instructing her where to go wouldn’t have achieved. She was both excited and apprehensive. Around her, there was only fear and trepidation. Except for Dad. His mood was in stark contrast to everyone else’s. He seemed to think he was off to a party where presents were being handed out to all guests, and he wanted to get there good and early. It was probably the right attitude. Fretting about what was going to happen wouldn’t help. Britta couldn’t stop herself, though. She didn’t understand what the Mayor and Gabriel Garbolum were up to. If the Keystone could destroy large parts of New World, would they be willing to use it? Would they threaten others? If that was the plan, surely they would have done it already. What had they been waiting for? There was something she was missing. Either Roman wasn’t telling her the whole truth, or he didn’t know it himself. Not knowing all the facts, but ploughing ahead anyway, was not how Britta usually approached a problem. It didn’t feel like a very smart way to behave. Even if you got away with it once or twice, you would eventually fall foul of ignorance, especially if other people knew what they were doing. She clearly had the poorest grasp of what the Keystone was and what it was capable of. By all rights, she should have no chance against either the Mayor or Gabriel Garbolum, whoever emerged victorious between the two. Everything was stacked against her and it would take a miracle to come out ahead from such a unfavourable position. Good thing she knew how to do magic. “What’s the plan?” asked Dad. “Don’t have one,” said Britta. She didn’t know who she’d face or how best to deal with them. All she had was a time limit. Dawn. They were outside in the street, surrounded by dwarf ninjas. It wasn’t exactly the most discreet entourage. A horse-drawn cart was waiting to take them to the mines. Everyone piled in, with Dad sticking out as the tallest. “I’ll try,” said Britta, not really sure it would be worth it. Side quests rarely were. “Magda, my love...” said Rusty who was sitting next to Britta. Magda grabbed his head in both of hers and kissed him violently through his cowl. “If you don’t come back, Rustworth, I vill never forgive you.” She ran off sobbing. Soft-hearted was not how Britta would have described her. “So, we just swan in and fight our way to the Keystone, killing everything in our path?” said Dad. Dad seemed to think he was in an 80s action movie. Everything would go wrong, but then he would inexplicably stumble onto a room full of RPG launchers and blow everything to kingdom come. Probably in slow motion. “I don’t know. It’s a bit strange Dr Reedy hasn’t been in touch.” She looked up at the night sky. “Hello? Dr Reedy?” There was no reply. She shook her head again. He was having a hard time grasping what she was suggesting, which was understandable. Don’t kill anyone, get answers to questions they don’t want to give, save the world. Oh, and watch out for the homicidal undead dwarf. Not exactly the easiest of tasks. Perhaps the dwarf was the answer to all this. She had considered destroying the grimoire now, taking the death penalty, and then coming back. At most it would be twelve hours, possibly less. Even if it was the full twelve, would anything happen while she was gone? Not to sound too self-centred, but she was sort of key to the story, it would most likely wait for her. At least the spell on the dwarf would be removed and they’d have one less enemy to worry about. But maybe the dwarf wasn’t an enemy. If Tibor had no allegiance to either the Mayor or Garbolum, she might be able to use him against them. There was just the small matter of him being insane to contend with. The dwarves all made noises indicating they were ready to lay down their lives. “Okay, okay, calm down,” said Dad. “Don’t get too trigger happy. There won’t be any need for your crack kamikaze squadron. We’ll take care of it, right?” He looked at Britta, who gave him a weak thumbs-up. It didn’t take long for the wagon to reach the mines. Everyone got out and stood around, waiting for someone else to give the go-ahead. Britta realised that person was her. “It will be immediate,” said the dwarf, a certain amount of pride in his voice. Britta walked up to the entrance. There was no one about; no players and no NPCs. “We’ll try to get to the lower floor without being noticed, and then…” That was all she had. Planning was hard. They entered the mine, a thrill running through her. It wasn’t every day you got the chance to save the world. At least this part would be fairly easy. Get the shade to scout the place and find out where everyone was, and take it from there. They quietly made their way to the first chamber. The dwarf was standing there, red eyes ablaze, waiting for them. I'll be taking a week off over the hols. Bitter will be back on 1st January. Will restart 8th January. Going to take a week to try to get a buffer going. Writing in advance, I know, crazy. 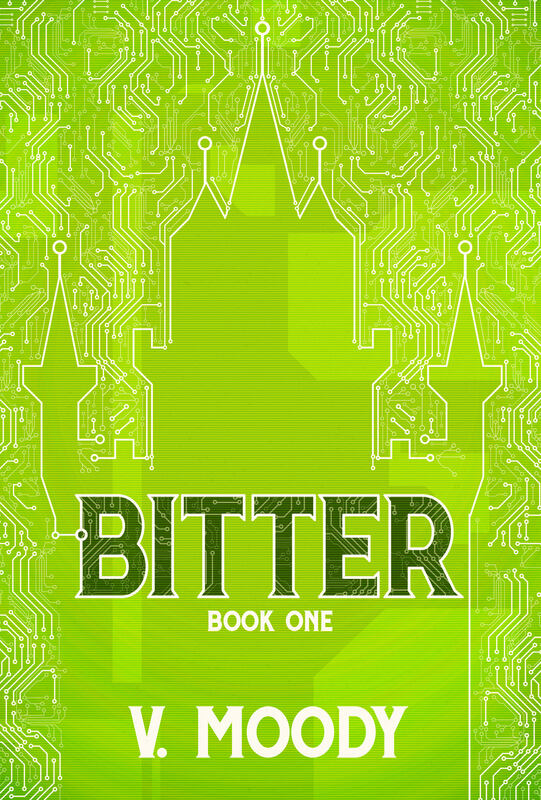 Bitter is now available as an eBook. Book One: Amazon Kindle and in epub on Apple, B&N, Kobo. 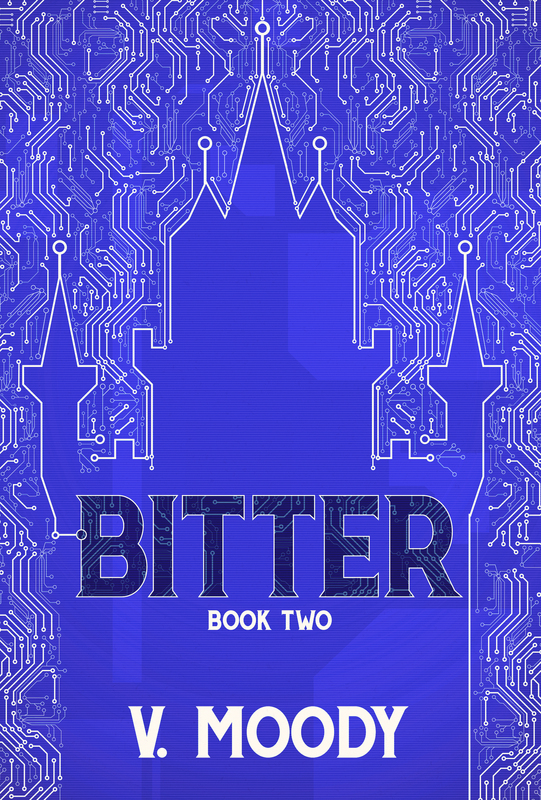 Book Two: Amazon Kindle and in epub on Apple, B&N, Kobo.